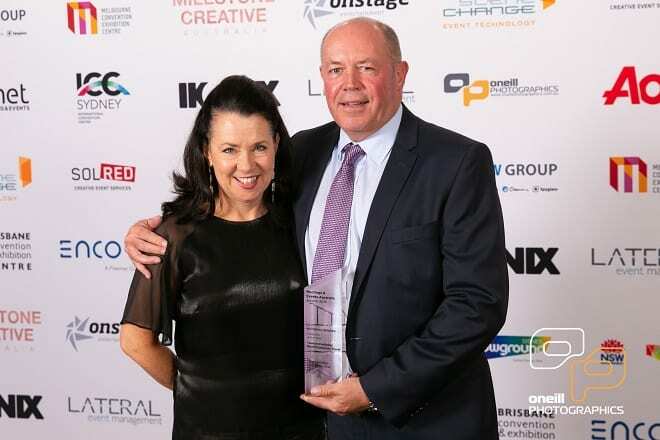 Fresh from winning the ‘Exhibition of the Year’ at the National Meetings & Events Australia (MEA) 2018 Industry Awards for the second year in a row, CIM spoke with Get Global co-founders Donna Kessler and Gary Bender about their recipe for success. Two in a row at MEA, what’s behind the success? Gary: There’s no great secret, we listen and ask for feedback. We’re always open to change but we keep it simple, focused, and above all try to deliver a great day for all. Plus, Donna writes the Award submissions! Donna: Hard work and collaboration with industry partners. Reviewing, listening and making changes where needed – that’s what it really comes down to. Are you less inclined to take risks with the format the more accolades it receives? 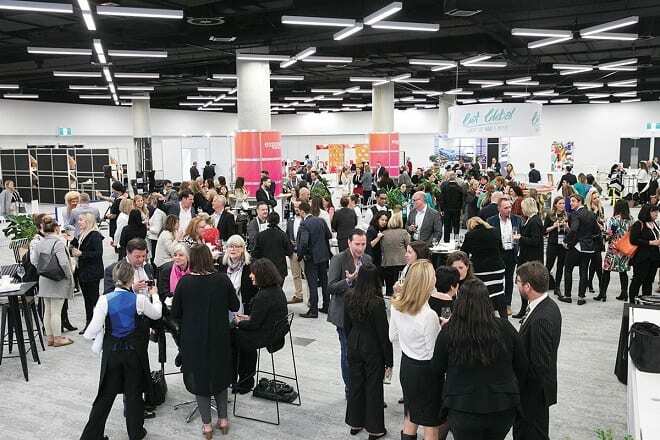 Gary: We did our research, we’re immersed in the industry plus Donna and I have been on the other side, so we know what buyers and exhibitors want. We will maintain our flexible approach and ‘give it a go’ attitude to keep it fresh and keep people coming back. The show has earned the respect from the industry – we have achieved an awful lot in two years but having the respect of our peers is right up there. Donna: We are in a fortunate position and have earned respect, because of the risks we took, so we will continue to push boundaries. We are always reviewing and building on the show year-on-year, evolving our offering based on feedback. Are you further motivated to replicate the show’s format for a different market sector? Gary: Yes, there are big plans in place for a second show called Get Local. Not only are we motivated by the Award, but the feedback has demonstrated an overwhelming demand for it. Donna: Our industry needs a bit of diversity, and we are all searching for the next ‘IT’ destination or product. Gary and I have been working on a local show, and it’s on its way. We’re thrilled that we are in a position to leverage the format we have for a new show. Are you exploring new ways to use technology to make the show experience even better? Donna: Innovation is important in our industry. We constantly look for newer and better ways to incorporate technology into each show. Last year our partner Touchpoint, launched a world-first at Get Global with their integrated registration solution. We’d love another world-first this year! What is easier and what is harder when preparing for show number three? Gary: We now have previous shows to take learnings and experience from, but like all industries people are making decisions later and later, which of course makes it harder to run a show like this. Donna: We are very fortunate that we have been working with many of our partners from the beginning; they continue to be a part of this journey and are on board for the next chapter. However, we just need to be careful that we don’t over commit and ensure we continue to deliver on our promise to provide the return on investment people have come to expect. What changes can we expect in July? Gary: More of the good stuff, new exhibitors and increased numbers all round. We’ve also introduced a third package for exhibitors that provides greater promotion opportunities and a semi-appointment option. Donna: We will be implementing changes in response to last year’s feedback, and trying to create a better flow throughout the space so that everyone benefits from the foot traffic. We are looking forward to seeing everyone in July.